This is a national tragedy. 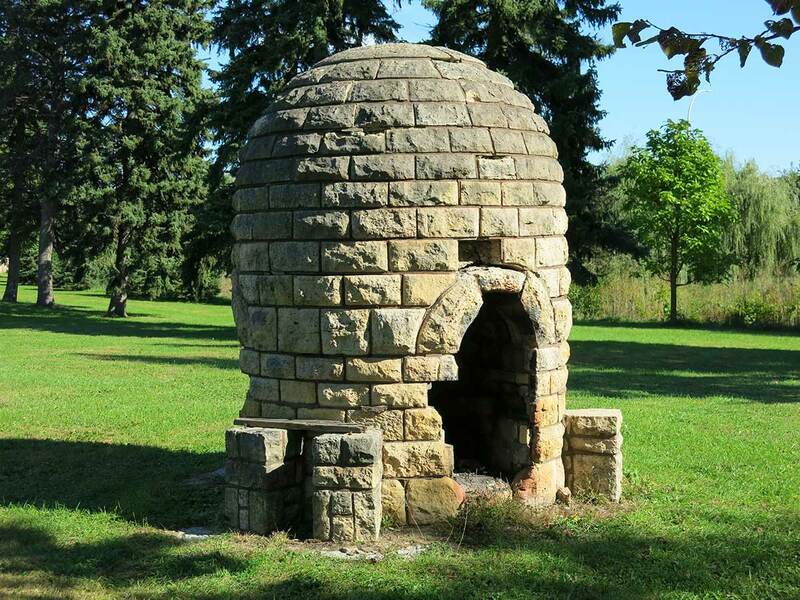 Graeser Park features one of only two 1939 WPA-built ‘beehive fireplaces’ in the U.S. Located in Robbinsdale, MN, it’s the only beehive in its original location, and desperately needs to be saved. 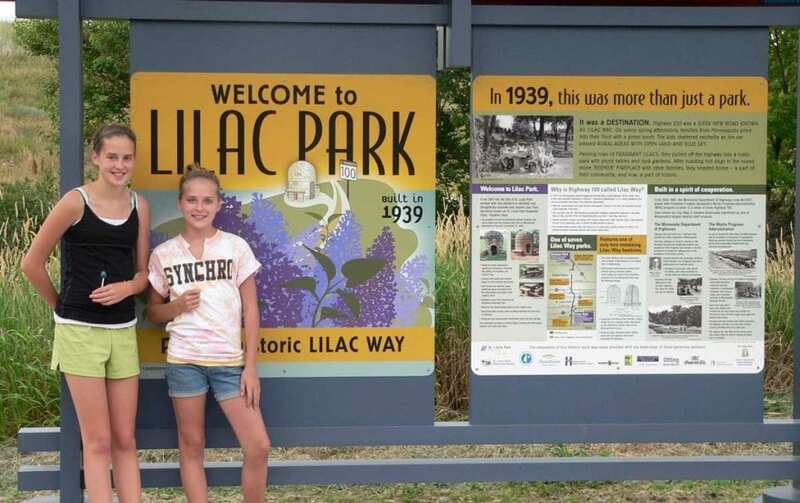 We want to help drive a national effort to conserve and restore this rare Lilac Way ‘parkitecture’. What would Nichols do? 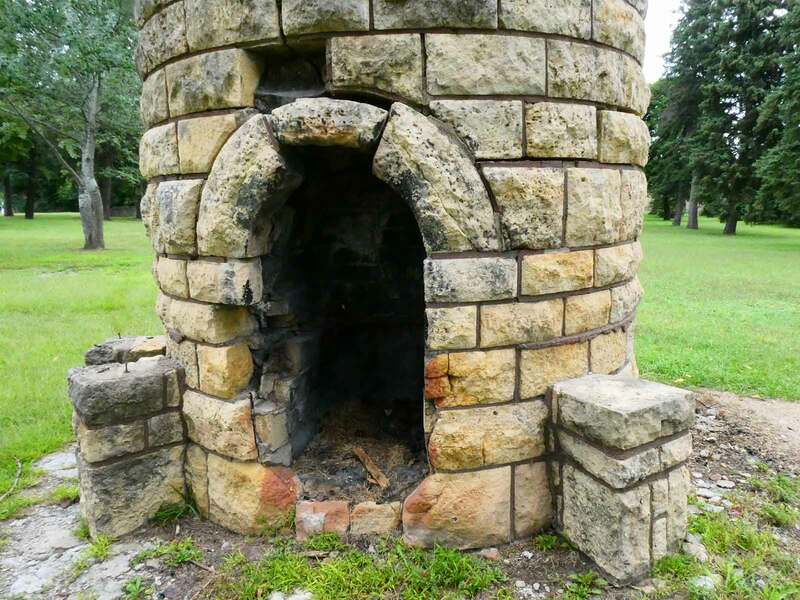 MnDOT and the National Park Service can document only two beehive-shaped fireplaces remaining in the U.S.—Graeser Park, and Lilac Park in St. Louis Park, MN. Thankfully, Lilac Park was beautifully restored in 2009. 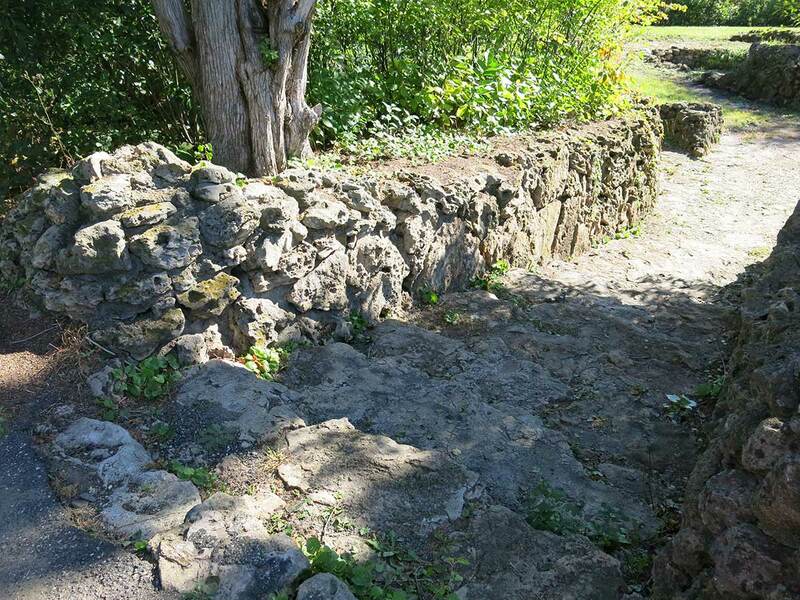 The City of Robbinsdale expects MnDOT to complete the title transfer of Graeser Park to the City by the end of 2019. This process was initiated at the request of the City of Robbinsdale. 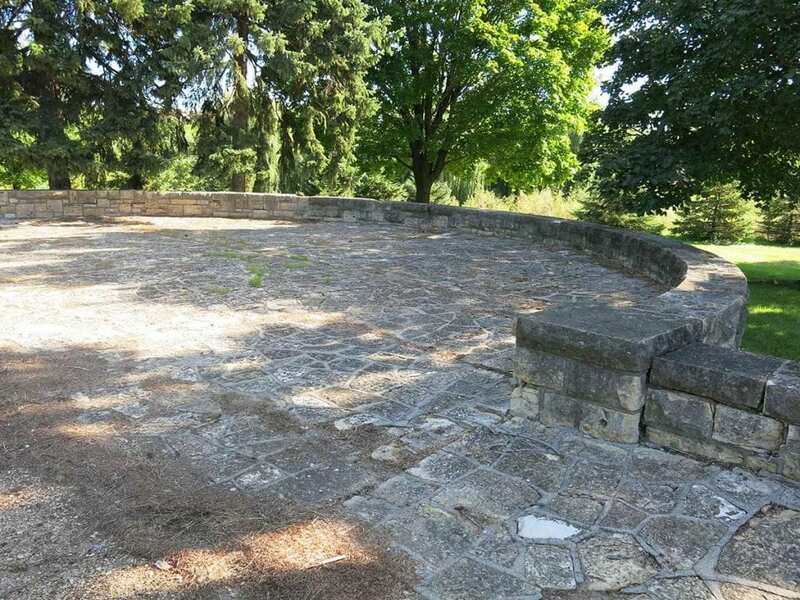 Once Graeser Park is owned by the City, we hope plans to preserve and restore the park will begin. 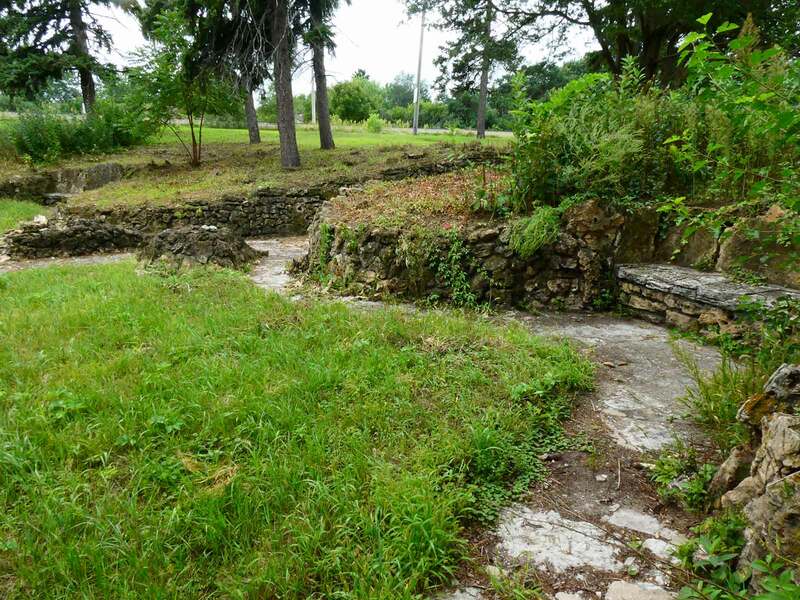 This once-stunning Lilac Way park is looking for heroes to save it. 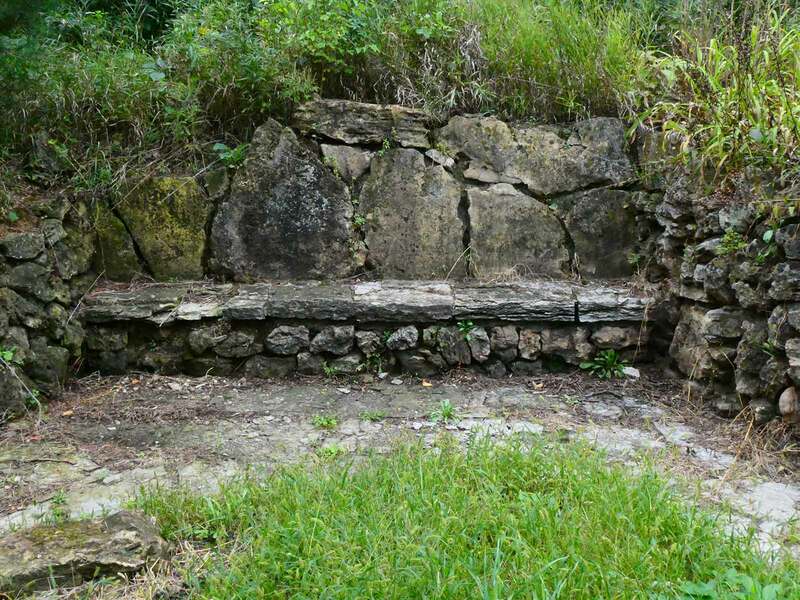 Hand-built in 1939 with limestone quarried from the Minnesota River near the Mendota Bridge, this park had picnic tables, beehive fireplaces, benches, and water fountains. Families grilled hot dogs, and played games. It was a popular community park for picnics. 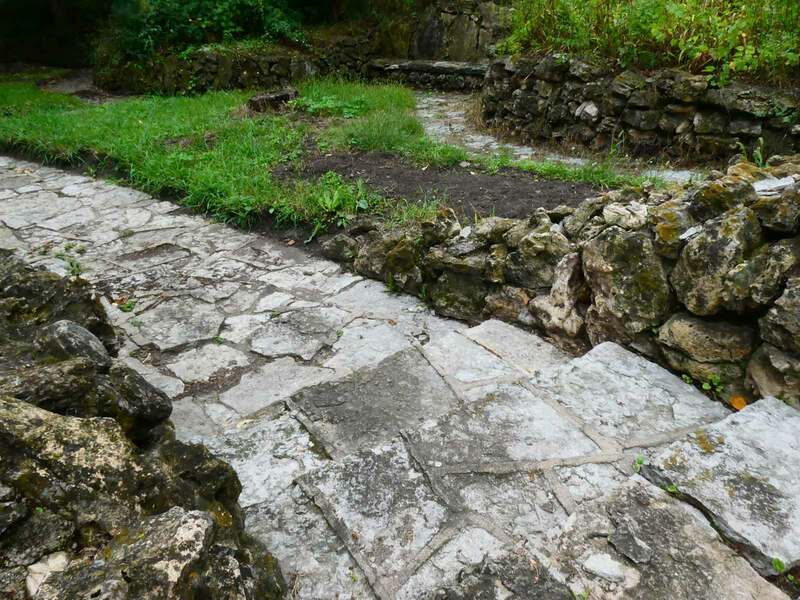 A large waterfall in the Rock Garden area was integral to the entire water system. 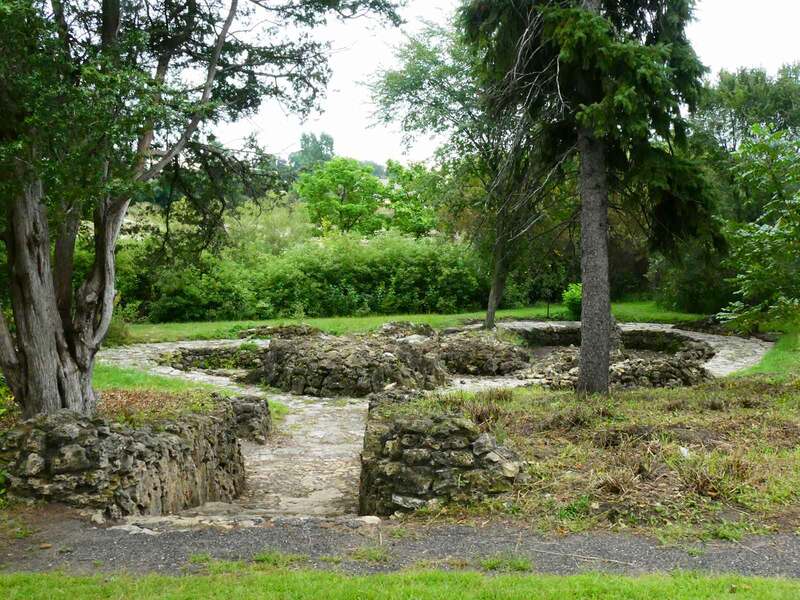 The ‘cone’ fountain was also a key feature. 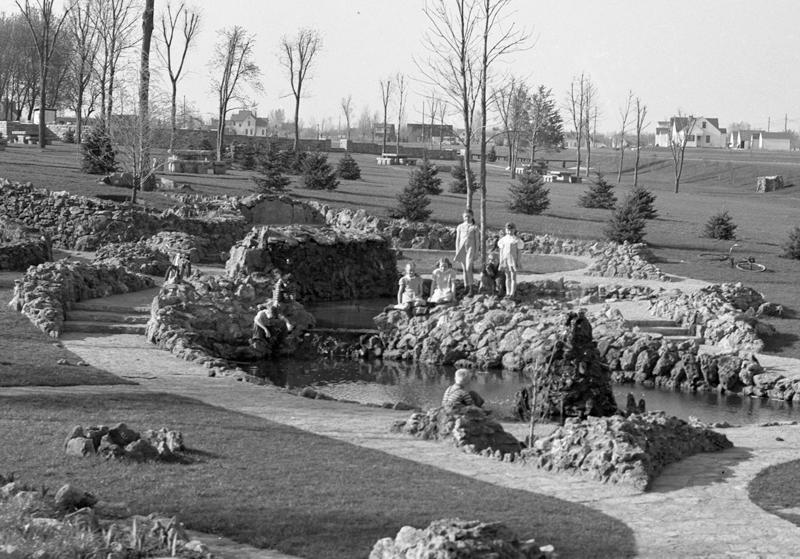 Graeser Park, 1940. 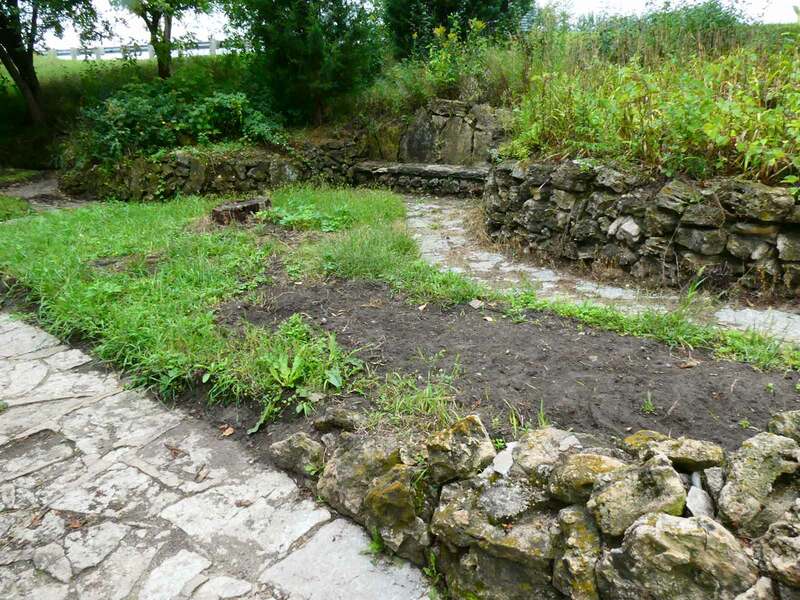 Beehive fireplace (upper left), rock garden. Photo: MN Hist. Soc. 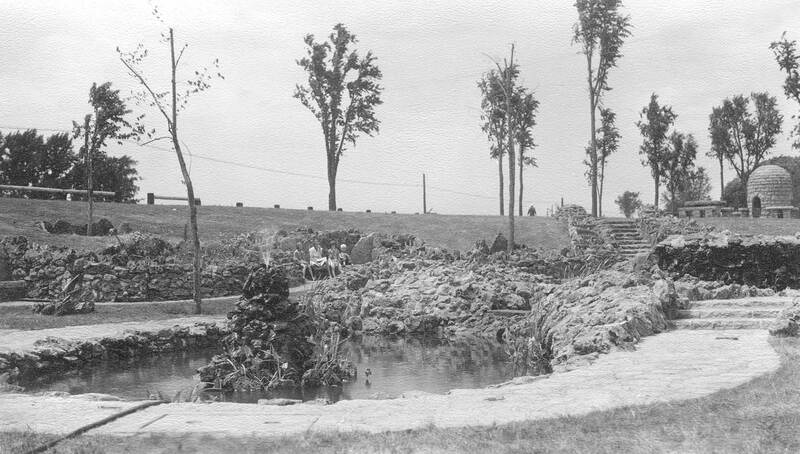 Graeser Park, 1940. 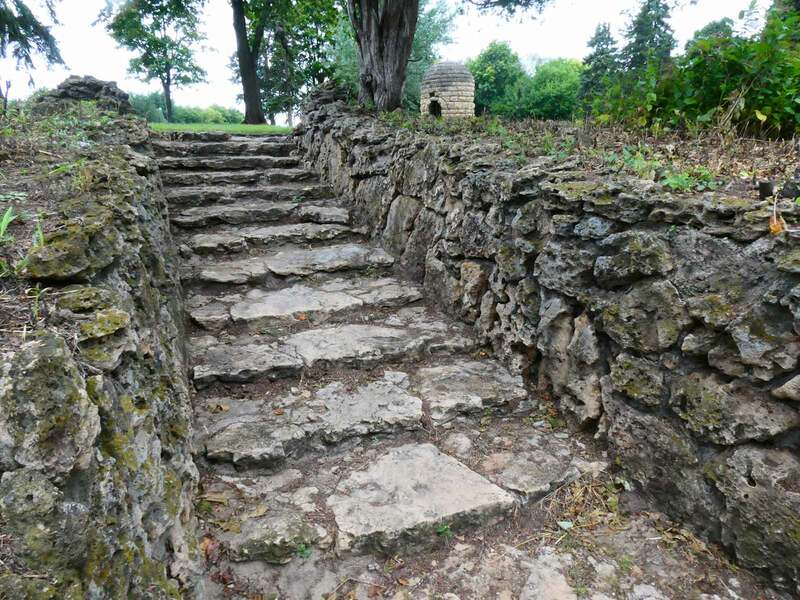 Stone stairway leading from Broadway Avenue down into Graeser Park. Photo: MN Historical Society. Graeser Park, 1940. 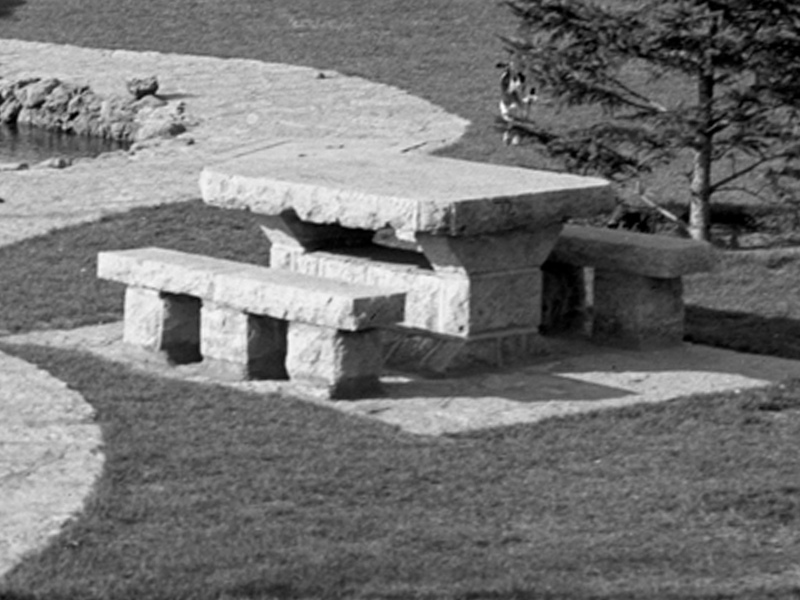 Beehive fireplace (left center), and 10-11 picnic tables. Photo: MN Historical Society. 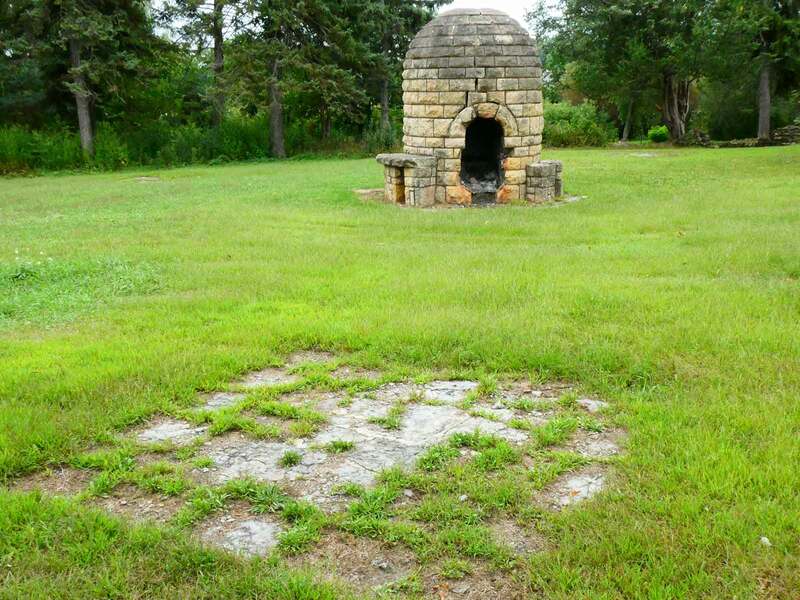 This Lilac Way park needs to be restored soon. 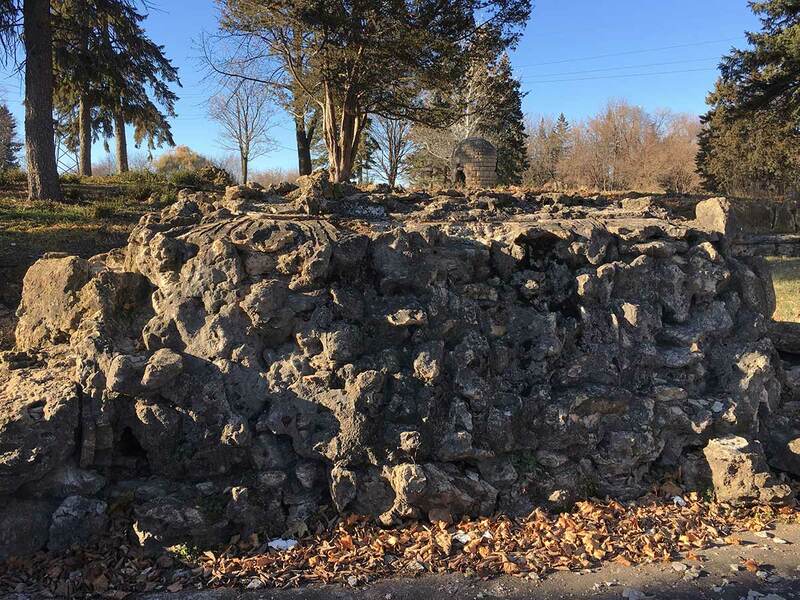 Despite the incredible efforts of the Robbinsdale Lions Club and the Graeser Park Angels, this 1939 Lilac Way park is continuing to disintegrate a bit more every year. 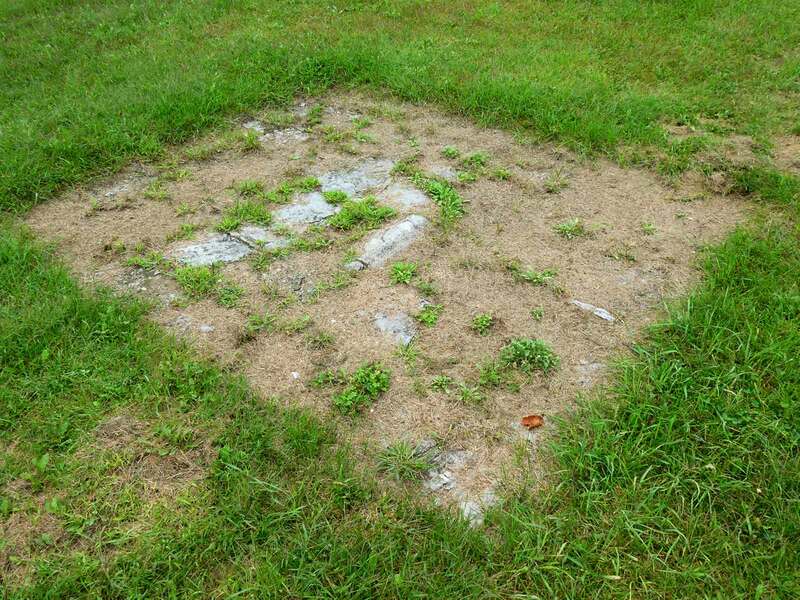 Time is of the essence—this park needs to be saved, before it is too late. Graeser Park, 2018. 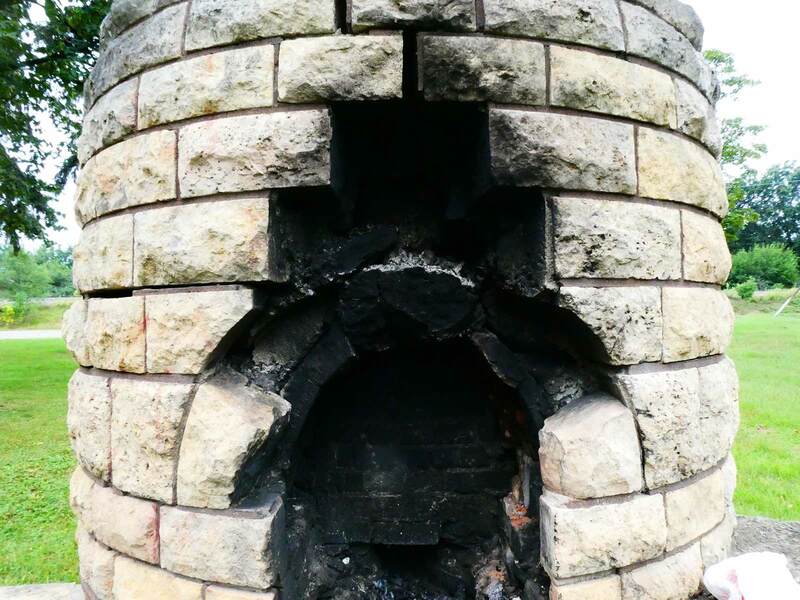 Beehive fireplace. Graeser Park, 2018. 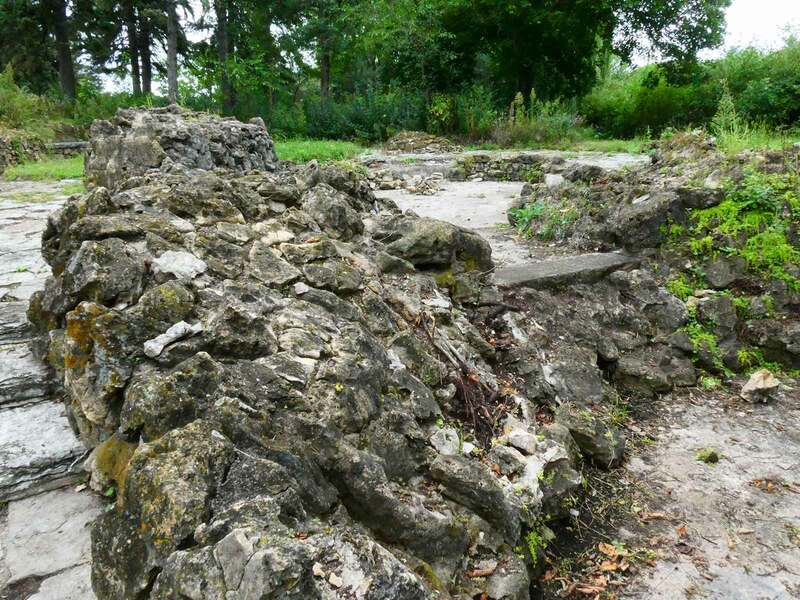 Rock garden. Graeser Park, 2018. Cone fountain. Graeser Park, 2018. 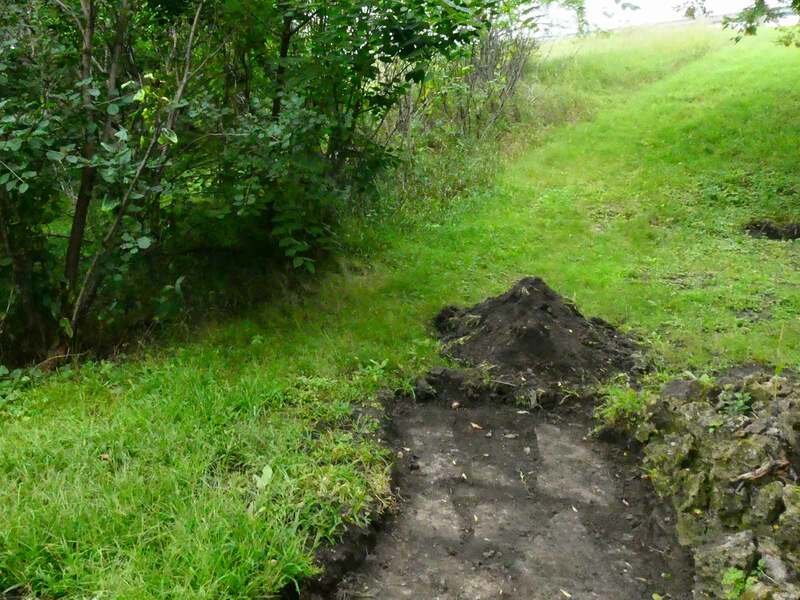 Excavating paths. Graeser Park, 2018. Table platform. 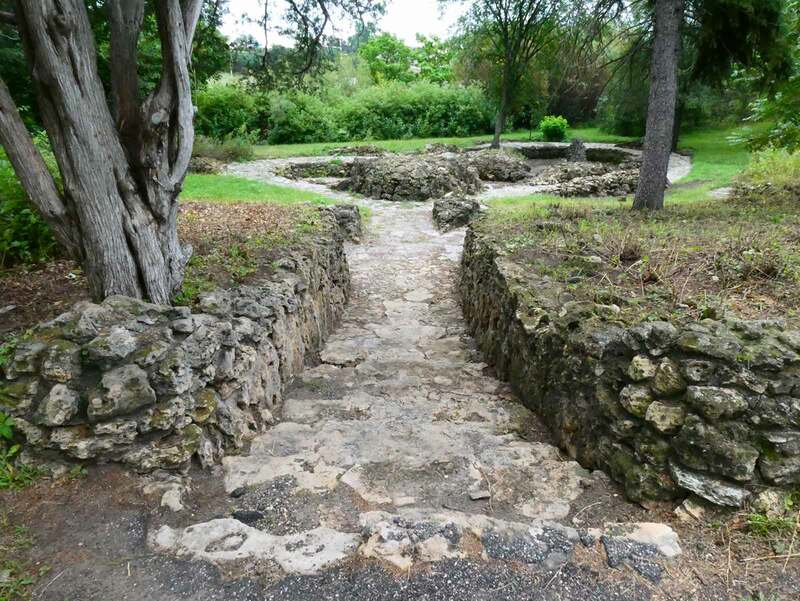 Graeser (Grā-zer) Park was named for German engineer Carl Graeser, the “Father of the Belt Line.” He developed the concept and supervised construction of Highway 100 and Lilac Way. Some locals call it “Glacier Park”. But it’s really Graeser Park. 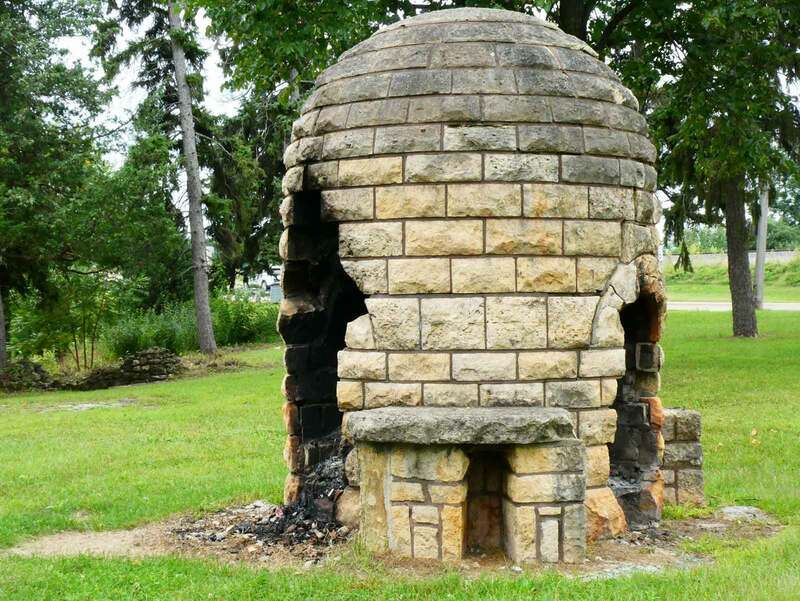 What’s special about Graeser Park? Graeser Park, 1964. Photo: MnDOT. Big thanks to the Robbinsdale Lions Club for maintaining Graeser Park while it waits for restoration. 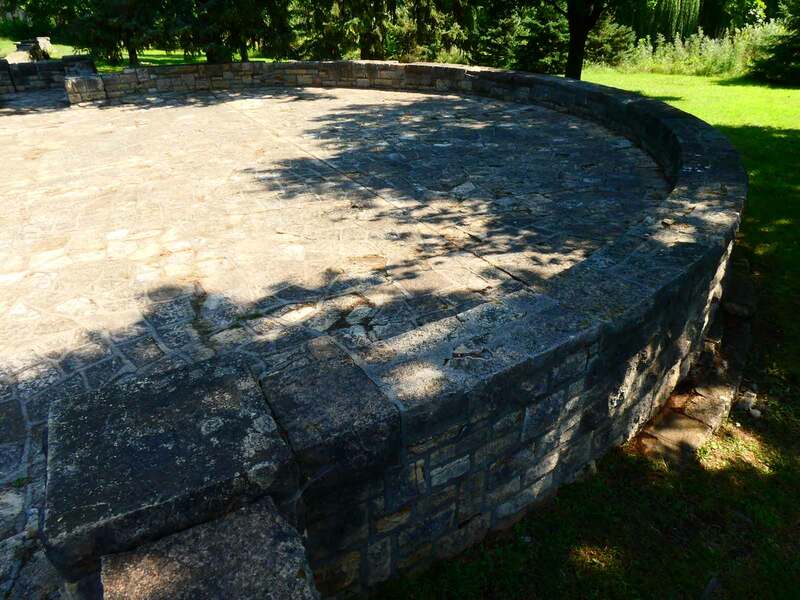 What did the WPA build in Graeser Park in 1940-41? Graeser Park, 2016. 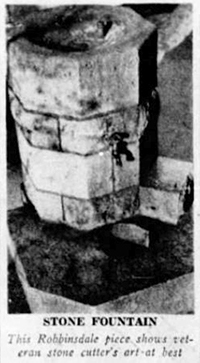 Beehive fireplace. Graeser Park, 1940. 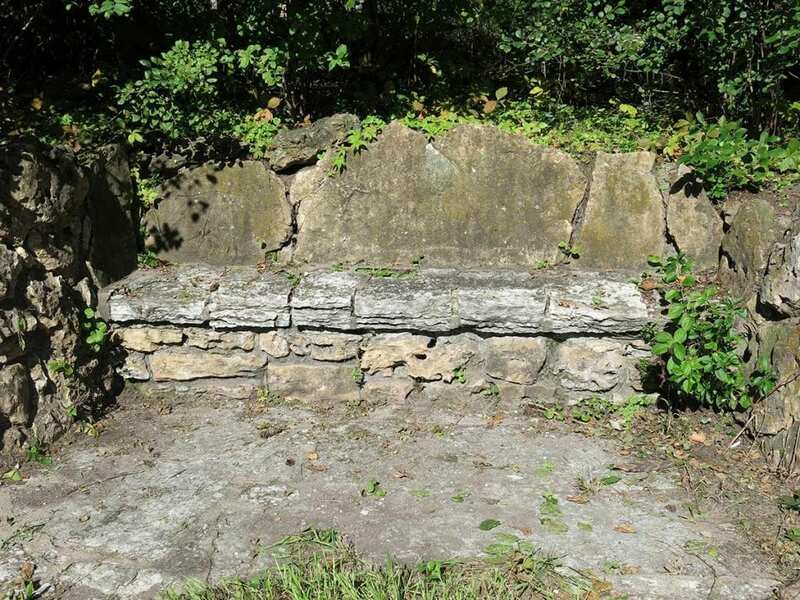 Rectangular limestone picnic table. Photo: MN Historical Society. Graeser Park, 2016. 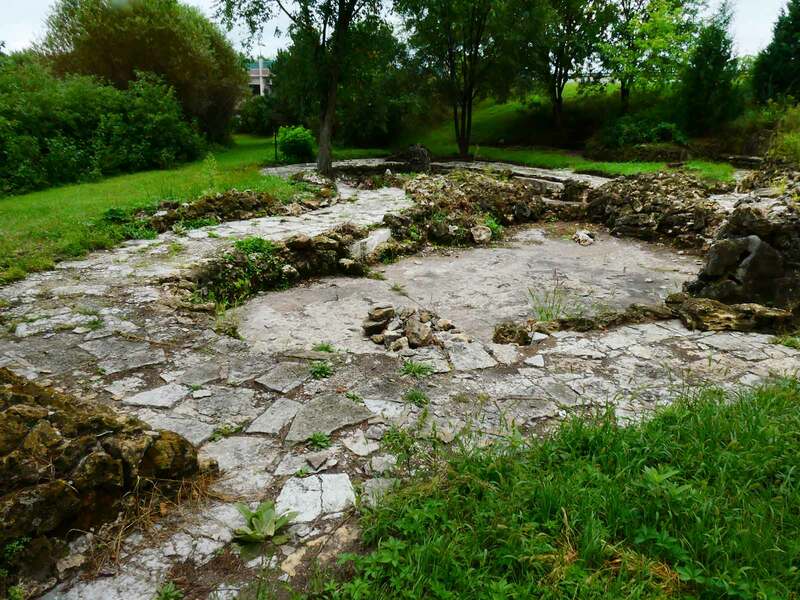 Curved stone bandshell with flagstone terrace and overlook wall. 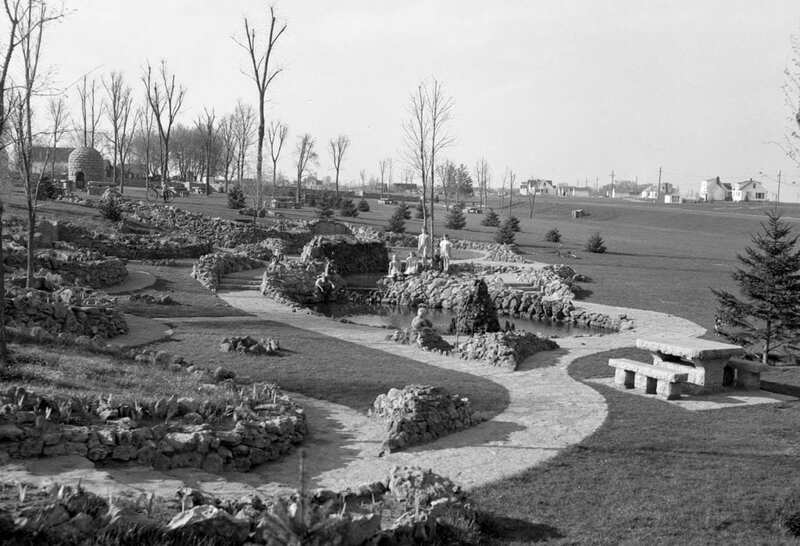 Graeser Park, 1940. 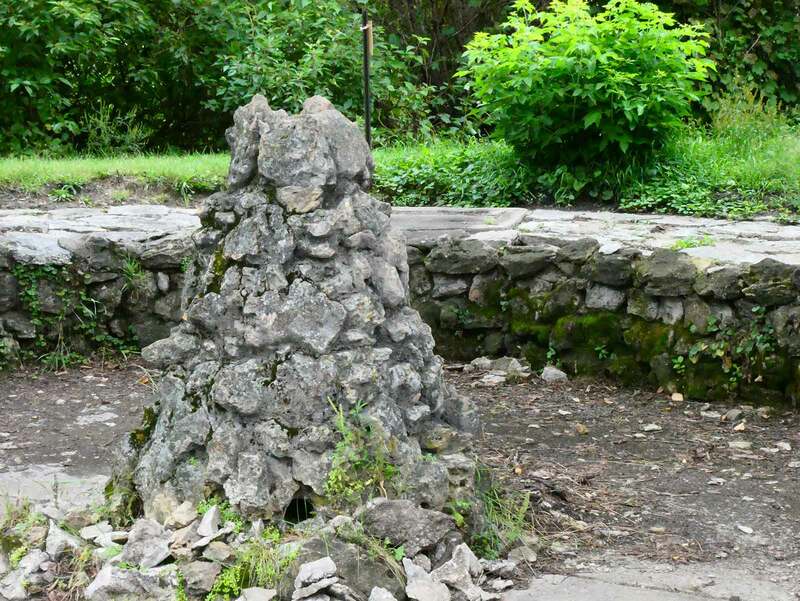 Rock garden with cone-shaped fountain. 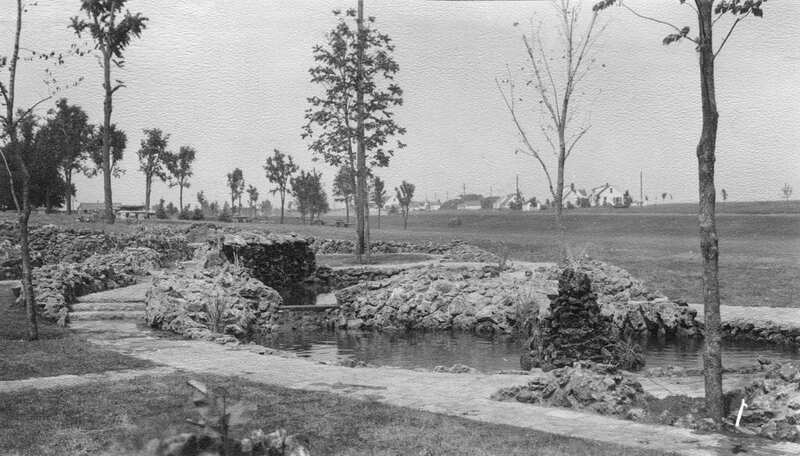 Early photos show garden was lightly planted with trees and planted with many varieties of water plants, etc. Graeser Park, 2018. Waterfall wall, beehive in background. Graeser Park, 2018. Original 1939 piping for waterfall wall. 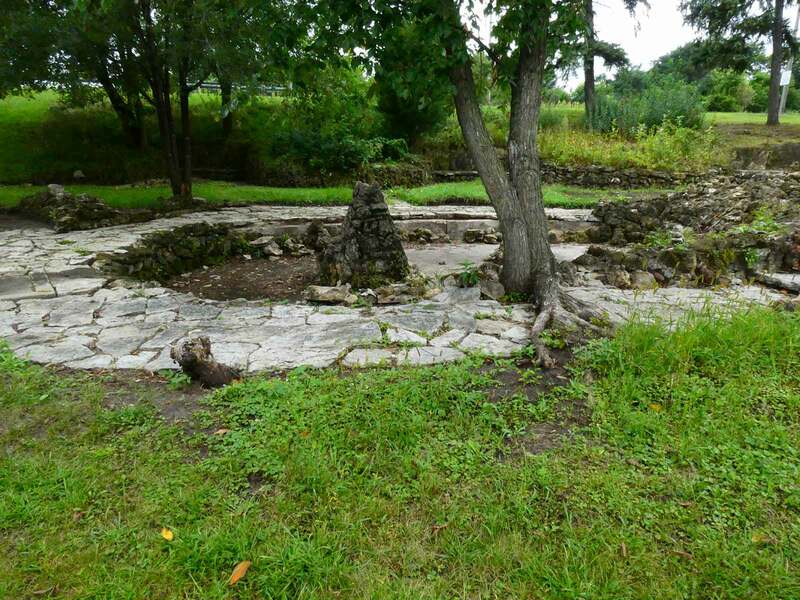 Rock Garden area had two ponds – one has a stone cone-shaped fountain in the center, and the other has a waterfall along one side. 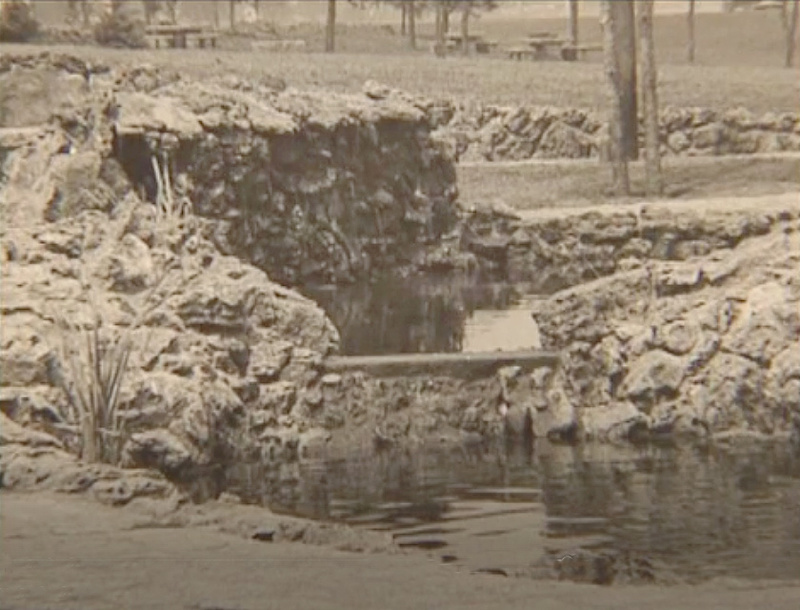 Graeser Park, year unknown. Waterfall in Rock Garden area. Screen capture from TPT's 2001 'Highway 100 - Lilac Way' documentary. Photo: Probably MnDOT. Graeser Park, 2016. 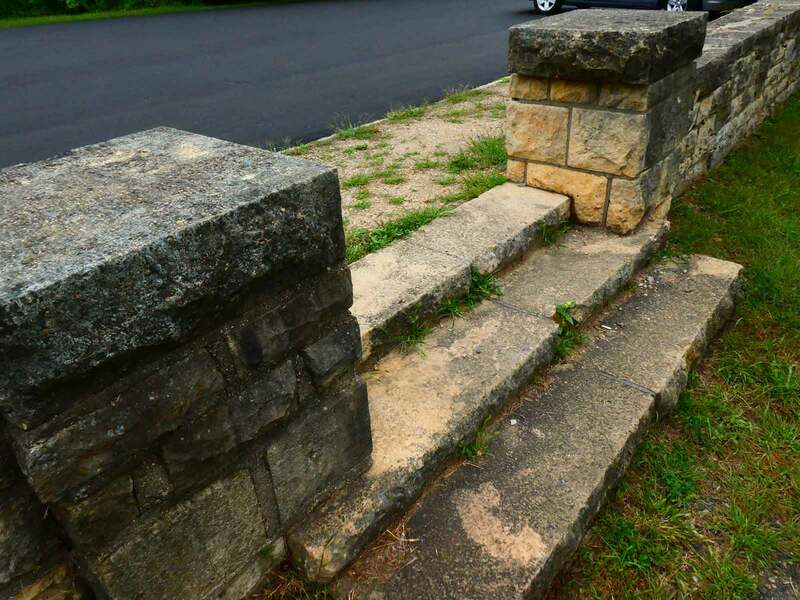 Steps and wall. Graeser Park, 2016. 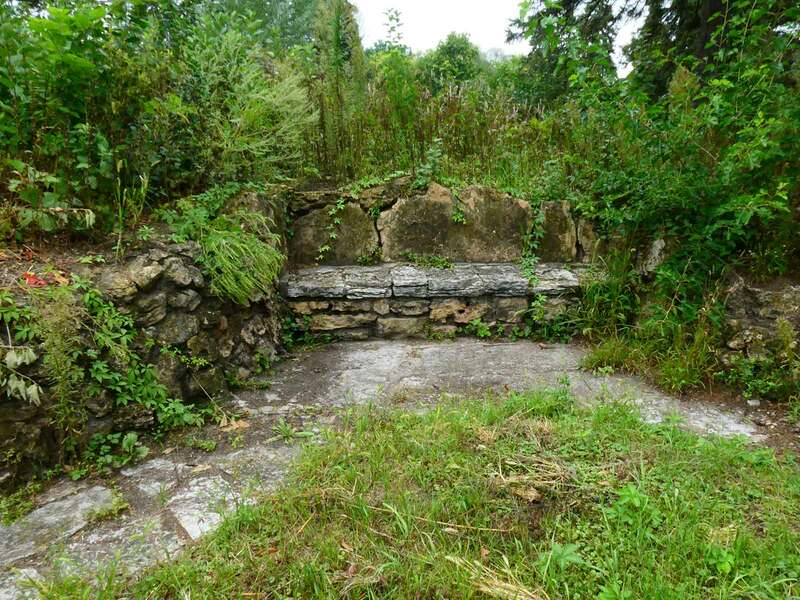 Bench and path. Diane Jacobson McGee, Robbinsdale Historical Society and Lion John Zieba, remember this drinking fountain. Diane thinks there was only one, located near the pond. 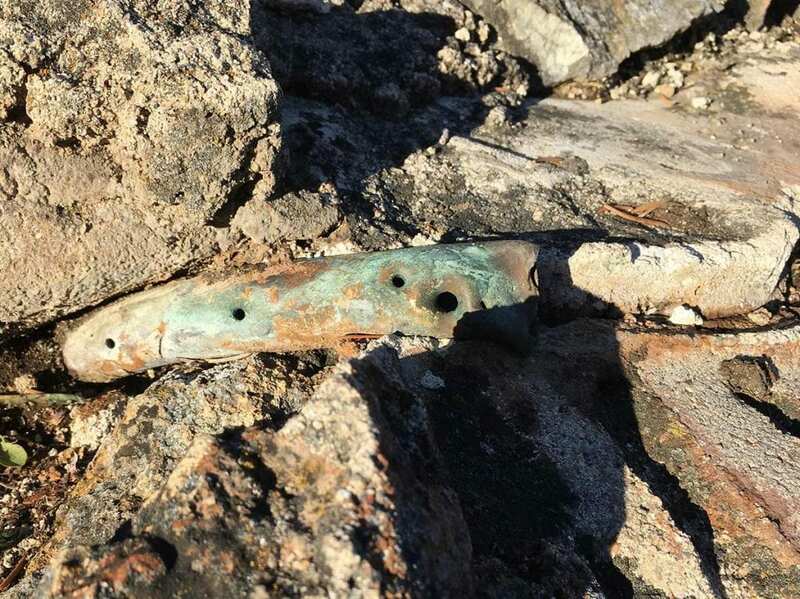 Noting the faucet above the second block from the bottom, she said a bronze drinking spigot was straight above that and just inside the basin. 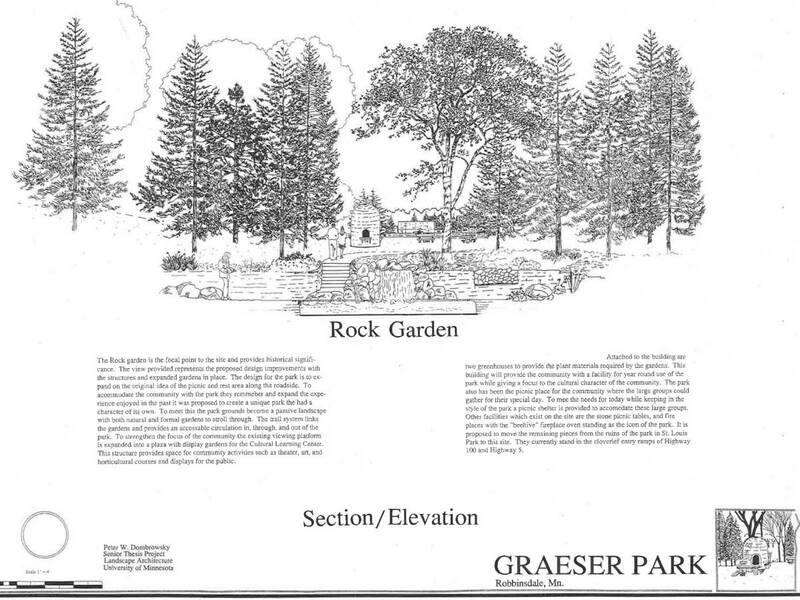 As part of restoration, we’d like to see new Graeser Park signage, similar to Lilac Park‘s signage by Laukkonen Design. 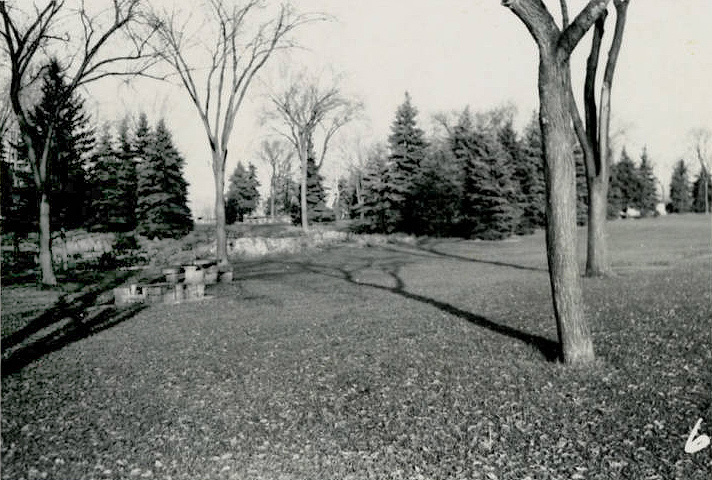 In his Senior Thesis Project in Landscape Architecture at the University of Minnesota, Peter W. Dombrowsky proposed building a Hennepin County Library – Robbinsdale Branch on the north end of Graeser Park, near the bandshell area. 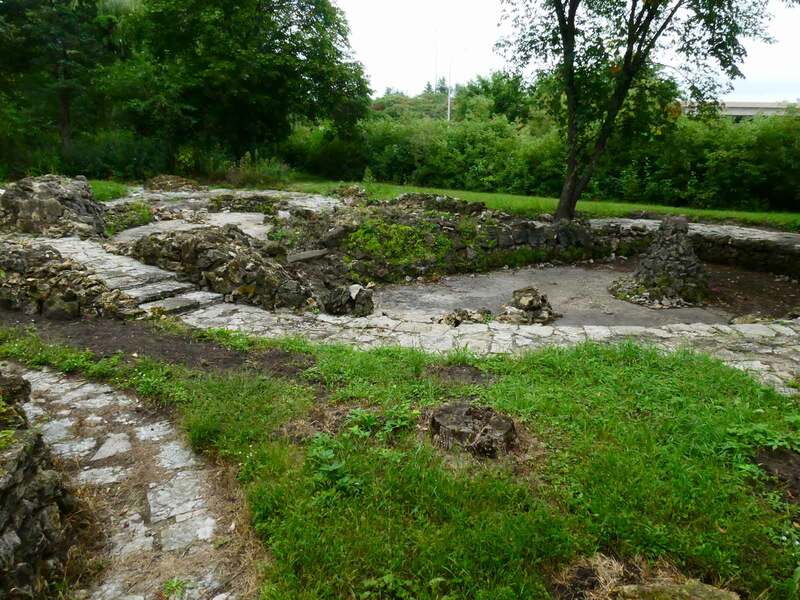 The beehive fireplace and Rock Garden area would remain behind the building. 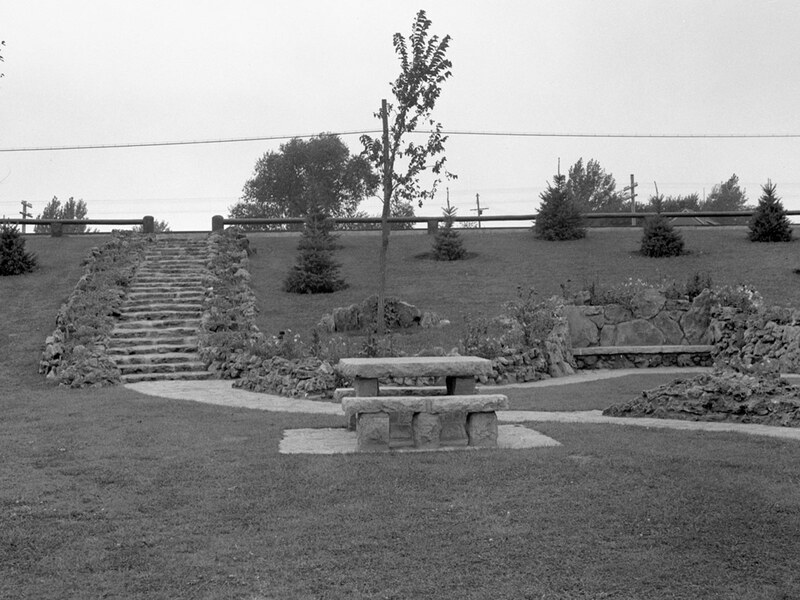 Read MnDOT’s 1964 Wayside Rest Area Inventory (JPG) for the main Graeser Park (NORTH). 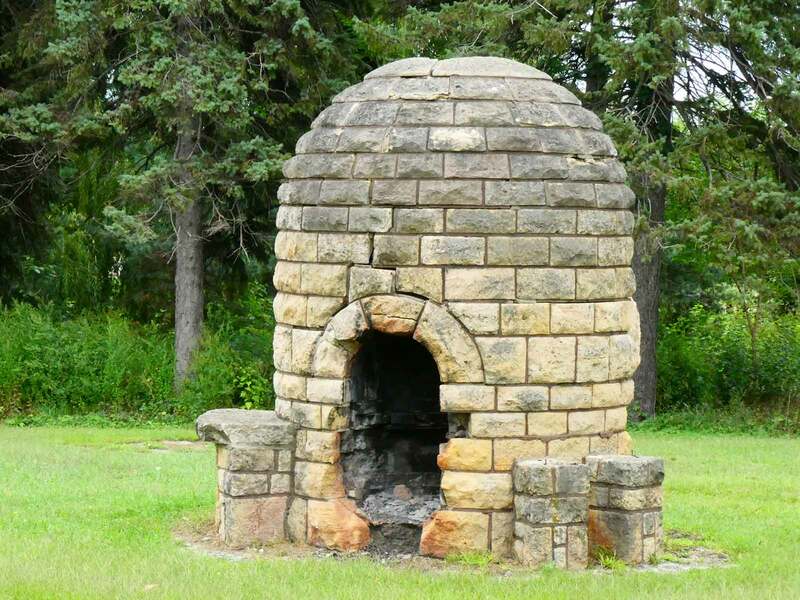 Read MnDOT’s 1997 Historic Roadside Development Structures Inventories (PDF) for the main Graeser Park (NORTH). 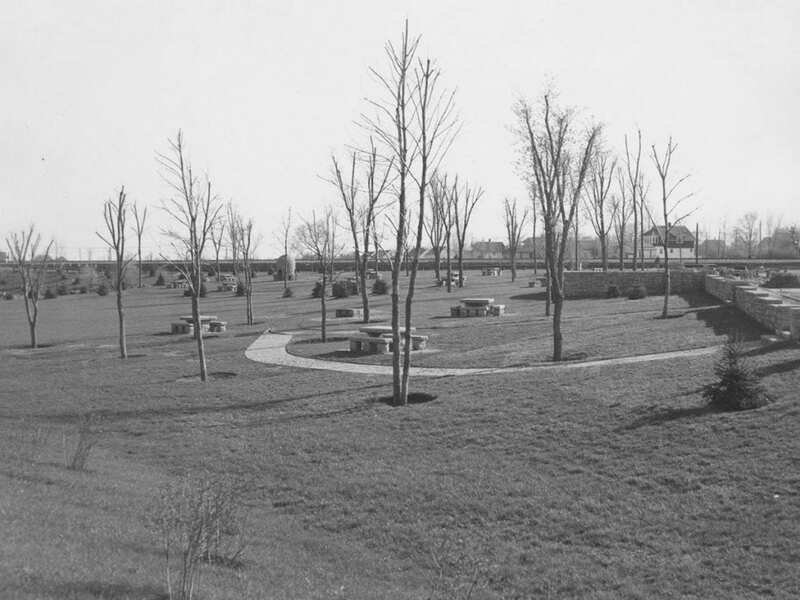 Read MnDOT’s 1964 Wayside Rest Area Inventory (JPG) for Graeser Park (SOUTH). This is the only photo of Graeser Park South that I have even found. 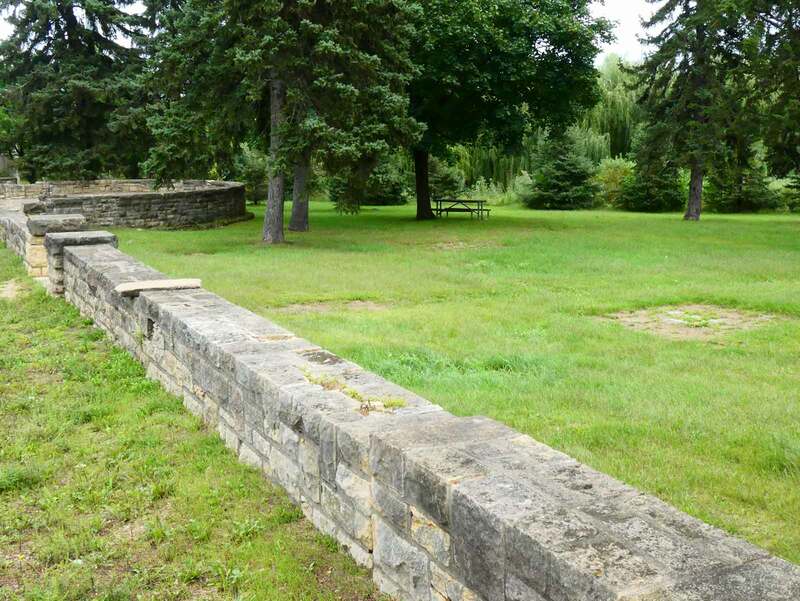 Read MnDOT’s 1997 Historic Roadside Development Structures Inventories (PDF) for Graeser Park (SOUTH).